Jade and Jo warmly invite you to the Soul Reconnection Journey! temple surroundings.Together we will observe, learn, connect, support and just be there for one another. Be prepared to witness and receive the humbling gifts of everyone surrendering themselves to the present moment as they honour their divine Higher Selves. Fusing Energy Healing with Sounds, Crystals, ReikiHealing, Meditation, Chanting, Pranayama (Yogic breath work), Kriyas,Yoga asanas (Yoga postures), Art, Music, Dance, Massage and mostimportantly, our intentions – together we will create a safe, sacred and friendly space to freely, creatively release our thoughts and emotions in a healthy, organic way without judgment and resistance. Be embraced by the loving, empowering, supportive and open arms of the group, connect with like-minded free spirits and just FEEL DEEPLY LOVED, BLISSFUL and JOYFUL! No experience needed, just bring an open heart and expansive mind. We look forward to sharing your unique presence for a wonderful journey ahead, Namaste! Josephine is best known for her experimental, intuitive and nurturing Energy and Sound Healing, Psychic Surgery,Counseling, Meditation classes, Private Yoga Therapy, Healing Circles and Interval Training sessions. She has helped empower many individuals to achieve their goals by incorporating practitioners’ personal interests with various tools and methods. Her work is a fusion of various disciplines that includes Energy Healing, Reiki, Counseling, Yoga, Ayurveda, Meditation, Feldenkrais, physical exercises, Massage, Music, Art and Dance. 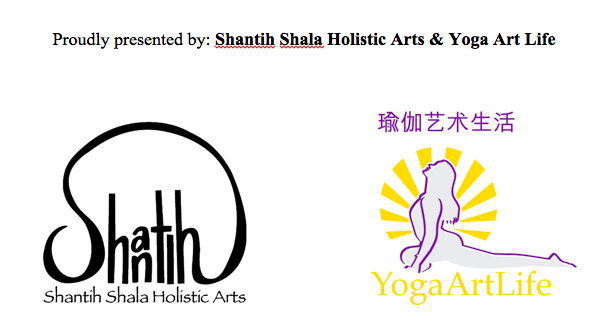 Yoga Teacher recognised internationally by Yoga Alliance(200 HOURS)She hold workshops,natural healing and retreats in and around shanghai. Specialising in TCM insight yoga and hatha yoga,Jade inspires her students to find happiness from the inside out, through powerful, ancient yoga wisdom and artistic expression which focus on awakening the mental and physical bodies, she believes in being an open channel to life’s experiences and applies this to her teaching,encouraging her students and friend alike, to let go of the process open their hearts and enjoy the journey. She also has a Reiki level 1, practice qigong also use into her teaching. You may make the full payment (50% refundable before 20th March) to the following account. Once the payment has been made, please do notify Jade so that she can confirm.